The most professional and complete live Tube app in the world. 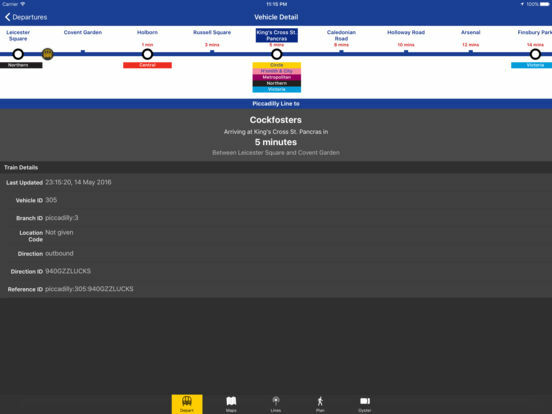 ▸ Departure boards - Real-time for all underground trains, DLR and London overground trains. 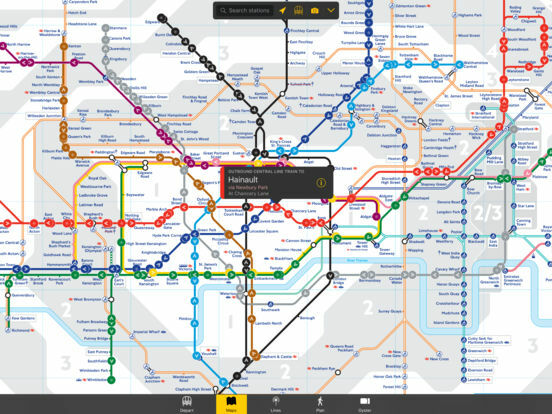 ▸ Maps - London rail including LIVE tube map. ▸ Disruptions - to your journey visible at a glance. 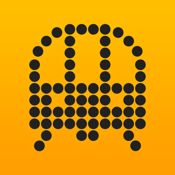 ▸ Journey Planner - up-to-date travel information direct from TfL, including first and last trains. ▸ Alerts - for when disruptions begin and end on your journey. 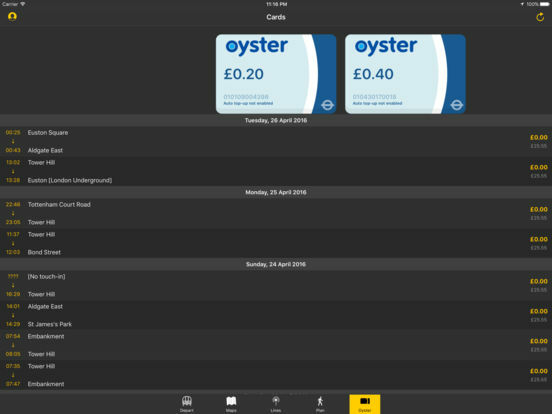 ▸ Oyster card - Balance, TravelCard information and journey history. ▸ Compass - See how far away each station is, and in which direction you should travel in to get there - even if you have no Internet connection. 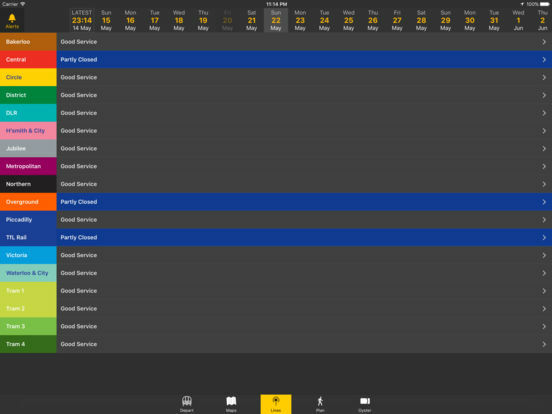 ▸ Favourite departure boards easily accessible with 3D Touch. ▸ TfL's Official "Best All Round App" for accessibility. ▸ Featured by Apple multiple times. ▸ 100s of 5-star reviews. ▸ Most popular paid Tube App for iOS. Want more than just the Tube? Check out Ride London. If you have any comments or problems, please contact andy@ride.town or @ridetownapp.